This year, Kanile`a `Ukulele will celebrate 20 years of making professional-grade, Hawaiian `ukuleles. Each `ukulele is finely handcrafted with beautiful woods and intricate detail to create a Hawaiian masterpiece filled with warm tones and gorgeous finishes. Kanile`a `Ukulele is the only `Ukulele company actively reforesting Koa forests. Last year, we planted 5,000 Koa trees. This year, we are on track for planting 8,000 more Koa trees. There is an amazing feeling that comes with giving back to our `aina! We are so excited to celebrate 20 years in business but more excited for what the future has in store for Kanile`a `Ukulele. 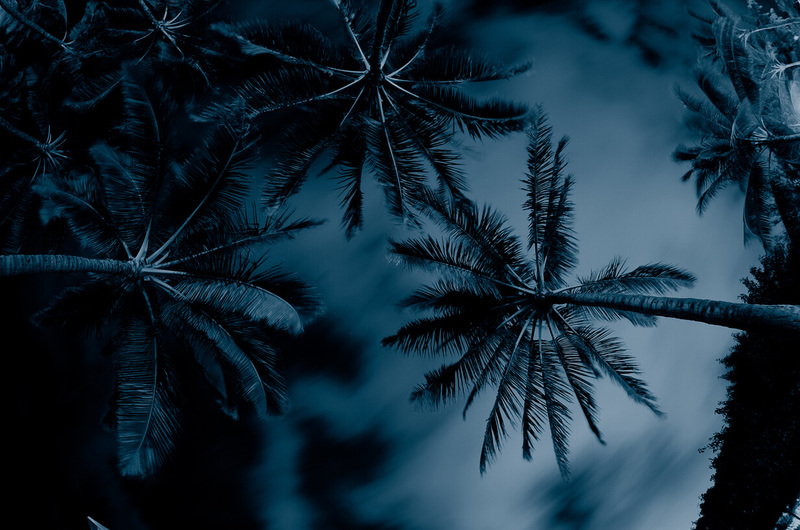 Join us on September 9 at the Hawai`i Theatre for a beautiful night of culture, sustainability and an incredible line-up of music by our award-winning artists! 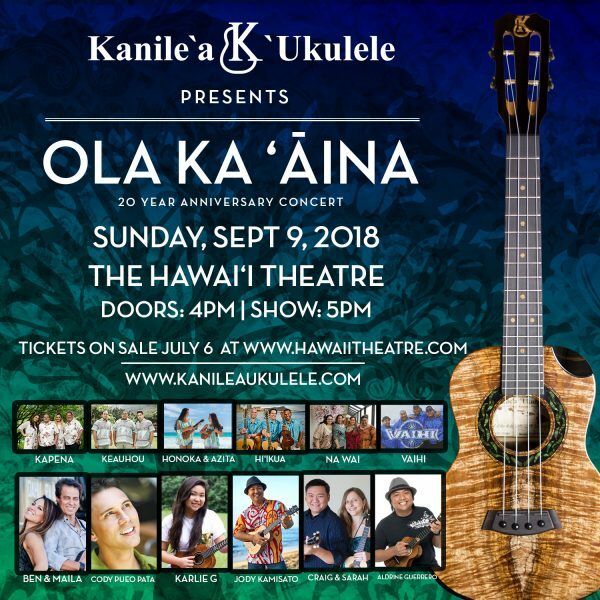 This concert will feature Kapena, Keauhou, Honoka and Azita, Hi`ikua, Vaihi, Na Wai Ho`olu`u O Ke Anuenue, Karlie G, Ben and Maila, Cody Pueo Pata, Aldrine Guerrero, Craig and Sarah, Jody Kamisato and more!